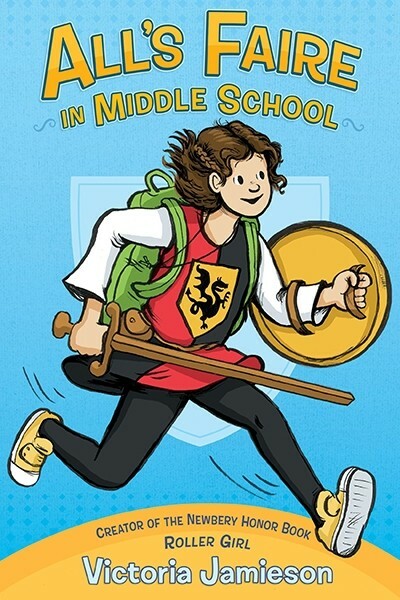 Eleven-year-old Imogen (Impy) has grown up with two parents working at the Renaissance Faire, and she's eager to begin her own training as a squire. First, though, she'll need to prove her bravery. Luckily Impy has just the quest in mind -- she'll go to public school after a life of being homeschooled! But it's not easy to act like a noble knight-in-training in middle school. Impy falls in with a group of girls who seem really nice (until they don't) and starts to be embarrassed of her thrift shop apparel, her family's unusual lifestyle, and their small, messy apartment. And, when she does something mean in an effort to fit in, she begins to wonder if she's got what it takes to be the hero – and how she can turn herself around and make things right. 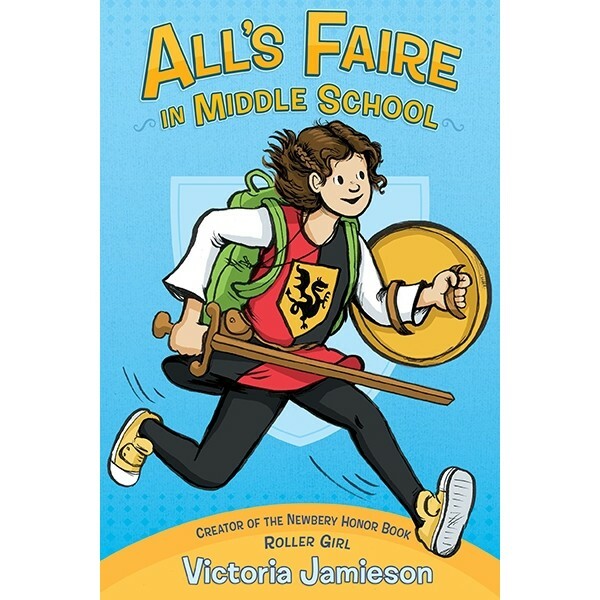 As she did in Roller Girl, Victoria Jamieson perfectly -- and authentically -- captures the bittersweetness of middle school life with humor, warmth, and understanding.